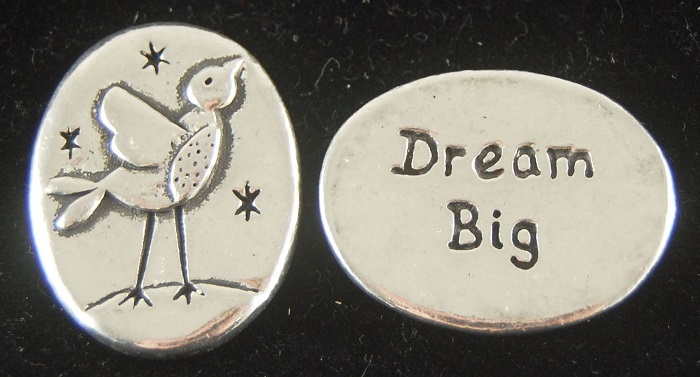 Song Bird inspiration coin has the words 'Dream Big' written on the back. Pocket token measures approx. 3/4" x 1/2" and is made of pewter.